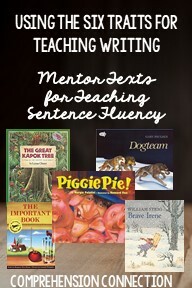 When I think of books that demonstrate strong sentence fluency, I think of books that have creative sentence structure. Sentences flow well and are carefully crafted to best express the author's message. Sentences can be long and winding joining one idea to the next or can be purposefully short and choppy, but the message is clear. What books have carefully crafted sentences? I did a little digging to see what I might find and share from the web. Of course, I started with The Writing Fix, and I found a few of my favorites listed. 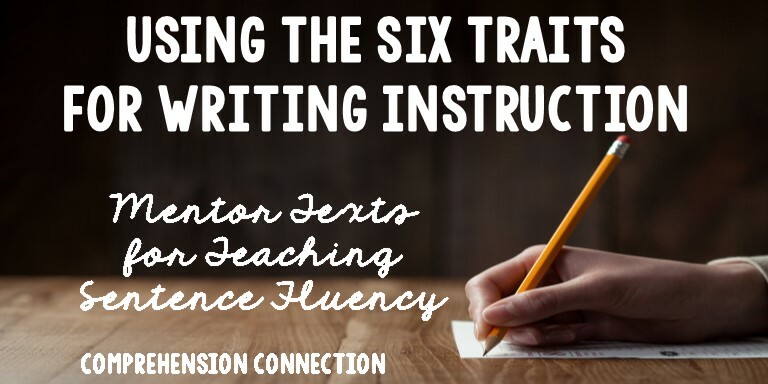 I will add these titles and links to the linky tool below, so readers can go directly to the lesson ideas. There are a few other books I love and would like to highlight. 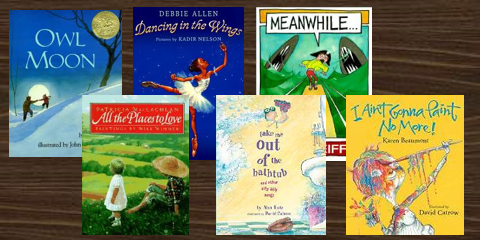 My list includes: Dogteam by Gary Paulson, The Great Kapok Tree by Lynne Cherry, The Important Book by Margaret Wise Brown, Brave Irene by William Steig, and Piggie Pie by Margaret Palatini. Scholastic had a few other suggestions, some of which I have used for framed writing and description. Here are a few I am familiar with. The first, Dogteam by Gary Paulsen is a beautiful book about a night out on the dogsled trail. His choice of words and the way the sentences are crafted make you feel as though you're on the sled gliding across the peaceful drifts of snow under the moonlight. It is a wonderful book for descriptive writing. The Great Kapok Tree is by Lynne Cherry. This book is about the environment and protecting our trees. It would work well in April for Earth Day, for Arbor Day, or for environmental studies. I enjoyed this book's illustrations, so it would be helpful in talking about presentation too. The story flows well and is told chronologically. With this book, teachers might use the RAFT paper idea I shared last week. The book also includes a lot of figurative language. Finally, one of my favorite books to use as an after reading activity is The Important Book by Margaret Wise Brown. This book has a set framework throughout the story. Each page begins with "The important thing about _____ is ______. " Below, I've attached an Important Book writing frame as a freebie you might enjoy using this fall with the book, Owen by Kevin Henkes. I also made a generic frame to use with books of your choice as well. 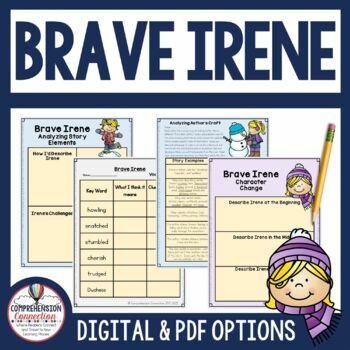 I love Brave Irene! The story is about how a young girl steps up to help her ill mother during a snowstorm to deliver a handmade gown to the queen. The word choice and sentence fluency throughout the story is superb. Steig includes dialogue, complex and compound sentences, and begins many sentences with depend clauses. Many of my students write with simple sentences, and this book works well as a model for them on how adding variety improves voice. Since I am planning to use this book next week, I've prepared materials to go with it. We are writing brave moment stories. We'll also work on author's craft as a reading skill. 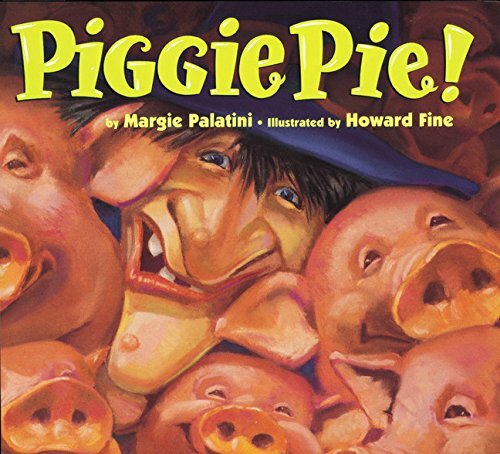 The last book I thought I'd mention is Piggie Pie by Margie Palatini. This is a really interesting book, and it works well for sentence fluency because of the way she includes figurative language and dialogue. Specifically, there is a lot of onomatopoeia and alliteration used which isn't too common. The illustrations are done in bright, bold colors too which I find very appealing. I think any student would find the writing style amusing. I have not created materials yet for this book, but check back soon. They will be added eventually. 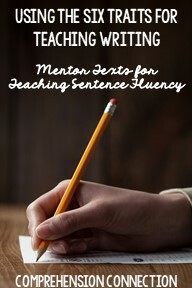 What books do you have on your list for sentence fluency? See the list below for titles you can use.